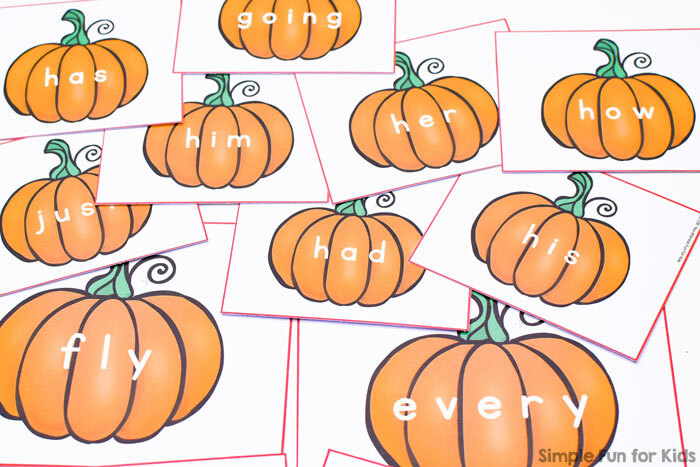 I’ve been busy adding more sight word sets that match my good old, popular Pre-Primer Sight Word Pumpkins. 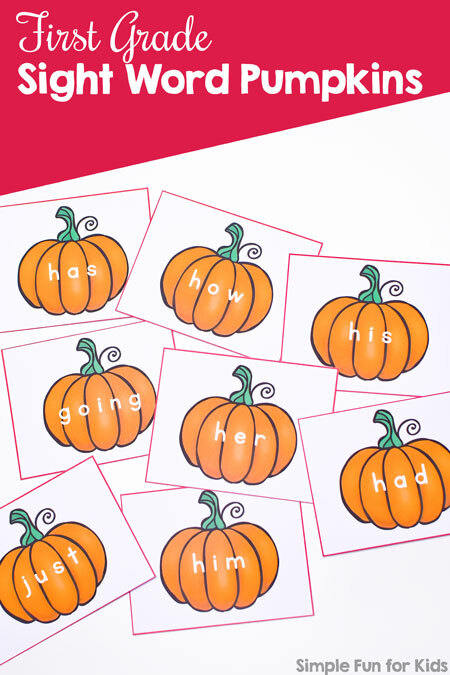 I already shared the set of all 52 Primer Sight Word Pumpkins the other day, and today, I have the 41-piece set of First Grade Sight Word Pumpkins for you and your kids! 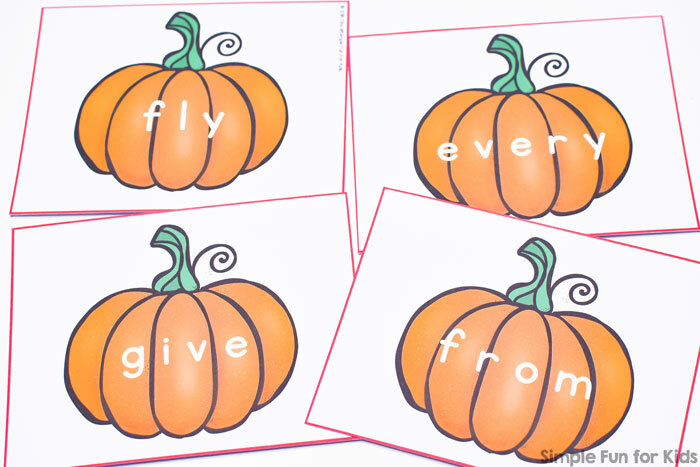 Like the other sight word pumpkin sets, you get the full set of 41 first grade sight words written on pumpkins. I’ve added different colored borders to each set so you can tell them apart easily. The first grade set has red borders. Depending on how big you want the cards to be, you can print one, two, or four pages to a sheet of paper. Then cut the cards apart at the red lines and use them as flash cards, in a sensory bin, in a busy bag, or any other way you can think of. 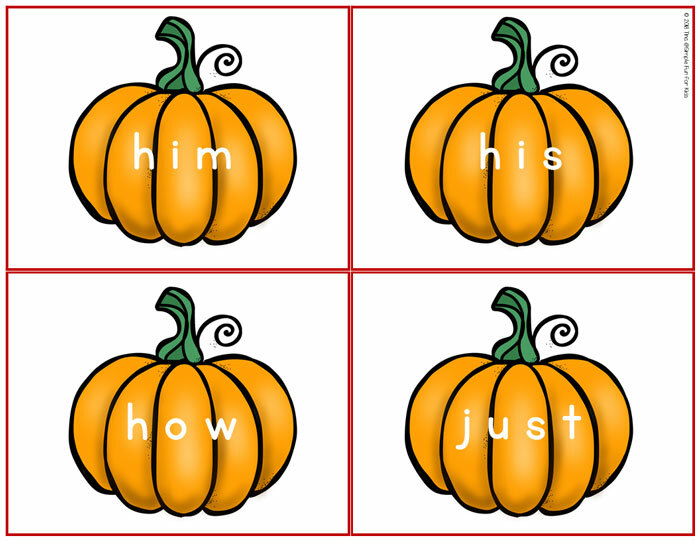 Download your First Grade Sight Word Pumpkins Right Now! 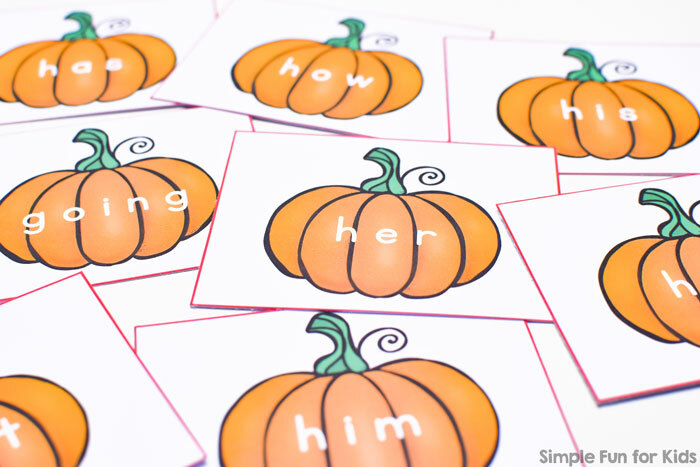 You can get the first grade sight word pumpkins right now and start using them within minutes!